Tipple crew at Turkey Knob mine, ca. 1908. For centuries the region around Mt Hope WV was primarily utilized by Native American tribes as hunting grounds, until 1770 that is, when the Cherokee tribe sold their land rights to the Governor of Virginia. As control transferred to the “white man”, other Native American tribes challenged their presence, leading to an armed conflict on August 20, 1794, when General Anthony Wayne won a decisive victory over the Indians at Fallen Timber, Ohio. This victory ended the threat of Indian invasions and resulted in a treaty that secured the peace for areas east of the Ohio River. As word of this treaty spread to the population areas in the east there was an increased movement of people westward into the frontier regions of Western Virginia and Kentucky. The area that is now Mt. Hope was then a part of Montgomery County, Virginia. It remained remote and isolated, totally lacking of man-made roads, with an old buffalo trail being the primary route of travel. But even buffalo would not roam through the most rugged sections of the nearby New River Gorge, as there was not adequate room for large animals to travel within the confines of that narrow and rugged canyon. 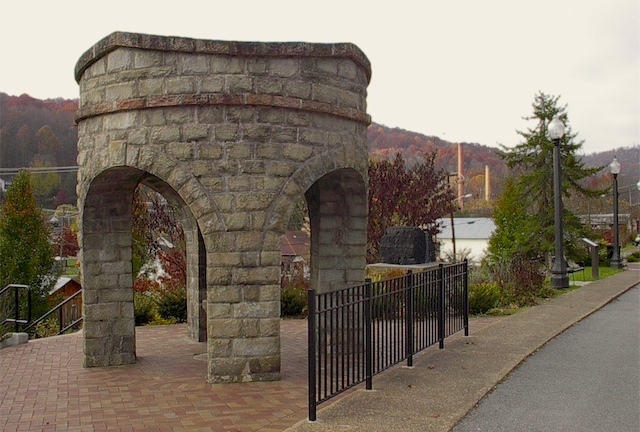 By the mid-19th century however, there were enough travelers through this part of western Virginia to support the building of a highway by a group of investors which included Colonel Alfred Beckley, the founder of the city of Beckley. This turnpike eventually ran from the Giles County Court House in Virginia to Fayetteville, WV, which increased the stagecoach traffic into the area and led to the construction of an inn to accommodate the travelers. Despite the completion of the turnpike and travel via the stagecoach line, the area remained remote and isolated. For the next forty-five years the region would remain largely in its primitive state with very little development occurring. During this period (mid-1800’s), only three families lived in the general vicinity that is now Mount Hope. Things began to change when a coal seam was uncovered by local settlers at Turkey Knob, and then a second seam nearby at Glen Jean. By 1894 there were coal companies established in and around Mt. Hope which were shipping their coal out of the area, leading to a rapid level of industrialization and population increase. The mountains of southern West Virginia kept that region isolated from developments in the urban eastern cities, but as technology advanced and as the need for coal increased, the isolation of Mt. Hope was broken at last. In January of 1873, the completion of a nearby Chesapeake & Ohio Railway line provided the region with the long awaited transportation link. With the advent of the railroad, the development of the area’s coal industry began, with several mining operations being opened in the New River Gorge along the C&O mainline. By 1888, Fayette County became the first county in West Virginia to produce more than a million tons of coal in one year. As a result of the explosive growth in the local area, Mount Hope was incorporated as a town on June 1, 1895.